(Southern Metropolis Daily) Private car owner helped someone out of kindheartedness but was fined 10,000 yuan instead. By Tan Renwei. September 15, 2009. On September 10, an Internet essay titled <Innocent private car was detained for being an illegal taxi, detention process was barbaric and violent> was posted at the Aika Shanghai Forum by the netizen nicknamed <Kindhearted victim of deception>. At just past 1pm on September 8, he stopped his car at a road intersection to wait for the green traffic light. A man came up to the car and asked Zhang whether he could get a lift. Zhang Jun said no, because he was almost at his office in the Minheng Development District. But the man continued to implore him, saying that he had a stomach problem and could not find a taxi. He said that his home was just ahead down the road. So Zhang Jun took pity and agreed. Zhang also told him that he had to go to his office immediately and he wanted the man to get out ahead. The man offered to pay him 10 yuan but Zhang declined. So Zhang followed the man's direction to stop. At that point, the man quickly seized the car key. Meanwhile seven or eight uniformed men dragged Zhang out of the car. At first, he thought that these men were robbers. Zhang said that his hands were cuffed behind his back while they put a stranglehold on his neck. They also took away his driver's license and car registration permit. They told him that they were from the municipal traffic enforcement division and he would have to pay a fine to get his car back. He wanted to call the police but they took away his telephone as well. Zhang said that he called the Minheng District traffic enforcement division to complain. The other party asked him why he let a stranger inside his car. Zhang said that the man was complaining about a stomach problem. The other party asked him, "What business is this to you if he has a stomach ache?" On the next day, Zhang went down to the supervisory department (Minheng District Construction and Transportation Committee Traffic Divsion ) to complain. A female worker named Wang received him: "Ms Wang said that those people were not with the law enforcement division. Rather, they were just associate administrators. She also said frankly that I was unlucky." Zhang made a recording of this conversation. This reporter listened to the recording and heard Ms. Wang express her sympathy. She also said that the car would be returned if there was a mistake. Zhang Jun began to make posts on the Internet with the latest updates on his case. His post was carried by the nationally famous writer-blogger Han Han under the title <This has to be a rumor> and drew even broader attention. On September 11, he went down to the Construction and Transportation Committee to ask for his car back. Director Wan of the Traffic Division said that they do not hire outsiders to trick people into carrying passengers. "There are no such persons." "But it is possible that certain people with a sense of justice is working with law enforcement." On September 12, Zhang wrote in the comment: "If I have to write a confession in order to retrieve the car, I will only write: 'I was wrong -- I should not have shown any sympathy for others. At more than 30 years old, I should not be so naive as to give a ride to a stranger. A fart citizen like me should not aspire to act like Comrade Lei Feng." But he did not really write that confession. He said that he compromised because he urgently needed to get his car back. Yesterday, he followed the instructions on the notice in front of the counter window and wrote: "I give up my right to explain or defend myself." He also signed on the Minheng District Traffic Administration Law Enforcement administrative penalty verdict document. But since he refused to admit that he was illegally driving a taxi, he was regarded as having a bad attitude. He had previously pleaded the fine down to 8,000 yuan but now it was restored to 10,000 yuan. After paying 10,000 yuan in fine and 200 yuan in storage fees, he got his car back. This post drew more than 80 pages of comments within a few days. It was the most popular post at the Aika Forum. Many netizens were angry and saddened. They are worried that incidents like these will cause people not to help others or do good. A netizen said: "Who is going to dare to be a good person?" After the affair of the Nanjing old lady who fell down but accused the kindhearted citizen who helped her to get up of causing her to fall in the first place, people are afraid to help fallen old people. "Now a kind-hearted person who helped someone with a stomach ache becomes the victim of a 'fishing' expedition. So who dares to give anyone a ride now? (Southern Metropolis Daily) Kindhearted car owner was deceived, the law enforcement squad boasts of its new tactics. By Tan Renwei. September 17, 2009. On September 15, this newspaper reported that a white-collar worker in Shanghai gave a ride home to a pedestrian who claimed to have a stomach ache. He became the victim of a sting operation against illegal taxis and he had to pay a fine of 10,000 yuan to get his car back. The Shanghai newspapers, television stations and radio stations reported on the case too, and public opinion was almost completely one-sided against this kind of law enforcement tactic. Yesterday, the Shanghai Minheng District Traffic Administrative Law Enforcement Division responded first with propaganda about its "new tactics" against illegal transportation and then they were interviewed on television. Regrettably, the division captain responded to questions from the television reporter with "I cannot discuss this." They also claimed that their tactic in cleaning up illegal taxis are "job secrets" that cannot be divulged. 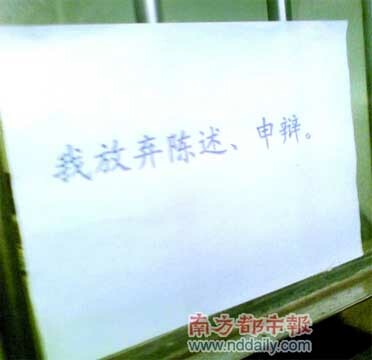 The Shanghai Minheng District Traffic Administrative Law Enforcement Division posted an essay on its website that said: "The method of obtaining evidence deftly first has the effect of relieving ... obtaining evidence during law enforcement is useful towards preserving the stability of public transportation." At the same time, the reporter discovered another document that described the accomplishments of that division: in two years' time, they detected more than 5,000 illegally operating vehicles" "with fines totaling more than 50 million yuan" "that exceeded the pre-established target goal from the city division and the district construction bureau." According to the Shanghai television news report, the law enforcement authorities claimed to have made full recordings during the process, including asking where the driver was going and the negotiated price. The principal Zhang Jun was completely unafraid of the so-called recording evidence. In fact, he was very angry. He welcomed the law enforcement division to release the recording but without any "technical handling." Shanghai MInheng District Urban Traffic Administrative Law Enforcement Division captain Liu Jianqiang was interviewed on the Shanghai TV news channel. When asked who seized the car key of Zhang Jun, Liu first said, "I cannot discuss the car key." Then he changed his tune and said, "We don't know who took the car key." Finally he said, "The car key was in the possession of Mr. Zhang the whole time." 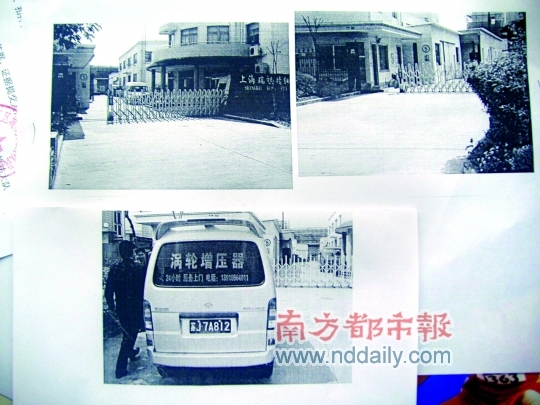 Mr. Zhang supposedly turned the key over after being "educated" by law enforcers. When Zhang Jun saw this interview, his blood was boiling. "I was very angry and also very saddened." He told our reporter by phone. "It was clearly seizure by force! They took action immediately. There was no persuasion. They cannot be so shameless!" He remembered that someone was taking a video on the side. He rushed over and yelled, "You bunch of rubbers!" He firmly believed that the video also captured how the law enforcers put a stranglehold on his neck. On the television news program, Liu Jianqiang refused to release the video evidence. He said that he will only show it in court. The television reporter also asked Liu how they clean up illegal taxis. Liu said that this is a "job secret" which cannot be divulged. "This is a job secret" quickly became a famous Internet saying over at the Aika Forum. Liu Jianqiang also said that one way to judging whether a vehicle is an illegal taxi is by its license plate number. Zhang Jun had a Anhui province license plate beginning with the letter Q. This roused more anger from netizens. Zhang Jun said that Shanghai license plates cost 30,000 to 40,000 yuan whereas he only has to spend 3,000 to 4,000 yuan elsewhere. Zhang Jun has contacted several other private car owners who have encountered the same experience. They intend to file a group lawsuit. Their goal is very simple: they want the law enforcement division to apologize to the people of Shanghai for their entrapment activities. (Southern Metropolis Daily) A victim of a fishing expedition once lost his case in court but got his 10,000 yuan back. By Tan Renwei. September 18, 2009. At past 10am on April 2007, Shanghai citizen Zhou Yang was flagged down by two middle-aged men on Kangwu Road in the Nanhui district of Shanghai. The two implored Zhou repeatedly to give them a ride to the Sanlin Development Bank two kilometers down the road because "they needed urgently to cash a cheque." Zhou agreed. The two got into the car and volunteered to pay Zhou 15 yuan. Zhou declined. The car proceeded for less than 30 seconds when the two men asked Zhou to stop. Even before the car stopped fully, "seven or eight uniformed men who were hiding behind the bushes on the side of the road rushed up, dragged me out of my car and shoved into a van with Jiangsu province plates." Zhou Yang went down to the Nanhui district city traffic law enforcement division to get his car back. The other party said that the two men testified that Zhou was an illegal taxi driver. So he wanted Zhou to pay 10,000 yuan in fines plus storage fees as well as a "personal self-criticism." Zhou Yang went to court to sue the Nanhui district city traffic law enforcement division. Since he could not afford to hire a lawyer, he studied the relevant laws himself. He was confident that he would win. "First, I was not an illegal taxi driver and never discussed money with the 'passengers.' Secondly, the eyewitnesses perjured to the judge in order to frame me. It would not be so easy for them to explain the lies away." At the first trial, the Nanhui district Construction and Transportation Committee Traffic Division director Shi Jianhua admitted in court that the two middle-aged men were traffic administrators employed by the division. Zhou Yang was very happy to hear that. But he did not imagine that the Nanhui district court would say that Shi Jianhua only heard other people say that without being an actual witness. "Therefore none of his testimony was accepted." In addition, the judge also determined that even though Zhou Yang did not actually take any money, he had the motive to do so. So the only point was that he had not received the money yet. As such, this has nothing to do with the nature of the event. Afterwards, certain Shanghai media received a press bulletin from the Shanghai city traffic law enforcement division headquarters that the Zhou Yang case was the first case in which "recording" was used as evidence. As a result, the verdict implied that recorded evidence will be accepted in such cases. But Zhou Yang said that he has never heard of or seen the so-called recorded evidence. The recorded evidence had never been presented in the two trials. In June 2008, Zhou Yang wrote in his blog that "I chose to compromise and I got back the 10,000 yuan which belonged to me." Yesterday, he told our reporter by phone that he got the money back through the mediation of a Shanghai middle court. Afterwards, he deleted most of the relevant Internet posts about his case. Zhang Jun has consulted Zhou Yang about the situation, but their cases were different. Zhou Yang did not sign a "personal self-criticism." After paying his fine, he asked for his car back but the law enforcement division worker told him to write a self-criticism first. Zhou Yang immediately dialed 110 to summon the police. When the police arrived, he said, "This agreement is against my will. But if I don't sign it, they won't give me back my car. I want the police to serve as witness that this is not my true wish." The police also said, "He has paid the fine but you still want him to sign a self-criticism? That is unnecessary." So he got his car back without signing the self-criticism. Zhou Yang said that he was very angry at first. "What kind of world is this? Do we really want to make sure that all the good people in China are extinct?" In retrospect, Zhou Yang told the reporter that it had been a meaningful experience for him. After speaking to Zhou Yang, Zhang Jun was pessimistic about his own prospect for getting justice through the judicial process. But after he watched the traffic law enforcement division leader speak on television, he is determined to have his day in court, win or lose. Q: You know what you did? Q: You were operating a taxi illegally. A: I was driving a private car on the way to my office. Q: That man wanted to get into your car. A: At first I did not let him. He said that his stomach was really aching badly. He wanted to go to his home which is right up in front. He could not find a taxi. He asked me to give him a ride. Q: You take him there because he asked you? Do you know him? A: I don't know him. He said that his stomach was hurting. At first, I said that private cars do not take passengers. But I relented and let him get in the car. Q: What business is it to you if he has a stomach ache? A: (pause) Are we hosting a World Expo in Shanghai? Are we saying that we must exhibit the gracefulness of the citizens of Shanghai? Don't we have to help foreign friends enthusiastically? Q: (pause for two seconds) Why are you talking about this kind of stuff? Do you know him? A: I am saying that it is the government which is telling us to do this. The citizens are not advocating this on our own. Q: You let him get into the car because you are illegally running a taxi service? A: How can you say that? When the people around China donated money for the earthquake, do they know the victims? I donated money myself but my guess is that you and the Minheng District Urban Traffic Law Enforcement Division did not. Q: Don't digress with such things. Why did you let him get into your car when you don't know him? A: I really let him in because I felt sorry for him and his stomach was aching. Q: If you let him in and you don't know him, you are operating an illegal taxi. A: Lei Feng helped people that he did not know. Q: (exploding) Oh, you think that you are Lei Feng! You are good! How about this? Let us settle this. There is no point in arguing any further. A: I don't understand what you are saying. How can we settle this? Q: Even if you are not a professional illegal taxi driver, you were illegally running a taxi service as soon as you picked up the passenger. A: I told you before that I did not accept a cent. I did not want to pick him up. I only let him in because he said that he had a stomach ache and his home was straight up front. Q: Alright, alright. How about this? You are not going anywhere by arguing further. You are an educated person. A: Any educated or uneducated citizen has the right to defend his reputation when he has done nothing wrong. Q: You just don't get it. Do you know what I mean? A: I don't know. Do you mean that if I pay the fine, then everything is over? Q: Yes, yes. It will be better for everybody. A: So I have to pay 10,000 yuan and plead guilty to driving an illegal taxi. Q: If you keep this up, there is nothing left for me to tell you. A: I still have to wonder just what is the difference between the so-called "law enforcement personnel" and robbers. Why did you twist my arms back and put a stranglehold on my neck? Why did you not show an arrest warrant but just shoved me into the van immediately? Why did you just wave your ID from afar? I did not break the law. What right did you have to act this way? Q: That is because you did not cooperate with law enforcement? A: What law did I break? Q: When you do not cooperate, we have to enforce the law by force. Q: You are suspected of operating an illegal taxi. A: If this is mere suspicion, then it has not yet been defined as breaking the law. Why did those seven or eight people twist my arms back and put a stranglehold on my neck? Q: I told you already that you were not cooperating. A: If they are law enforcement agents, they should display their ID's first. I will cooperate. Besides, how was I going to fight seven or eight people? Those seven or eight people immediately put a stranglehold on my neck. Then they shoved me into the van and deprived me of my personal freedom. Q: That was for your own protection. A: Protect me from what? This is absurd. To violently twist my arms back and put a stranglehold on my neck to protect me? Q: Of course, that was for your own protection. A: Is there such a kind of protection? This is violating me as well as depriving me of my personal freedom. Q. During the process of enforcing the law, you will find that the criminals are often beaten. A: It is wrong to beat criminals. Besides, I was not a criminal. Q: I said that you were not cooperating. I did not say that you were a criminal. A: Since you admit that I was not a criminal, you are saying that I was merely a suspect. So why are such violent methods proper? Q: Some people try to find bricks to hit their own heads or bang their heads against the wall when they are apprehended. Therefore, this is for your own protection. A: I don't have the guts to bang my head against the ball. I will not hit my head with a brick either. At the time, a group of people were violently threatening and kidnapping me. I needed "protection" from them. Q: It was for your own good. A: I feel that you people are totally unreasonable, never mind having any morals.